When you live in Kansas City, you're near the geographic center of the United States and away from the cooling effects of any major body of water, meaning you can count on extreme weather swings in winter (and summer) with conditions like freezing rain, ice, and snow—usually accompanied by bad road conditions. It's not so unusual to find your car covered in snow in the morning when you are in a hurry to get to work or to get stuck in slow-moving traffic when roads are icy, but it might be difficult for those visiting the state to know where to check road and weather conditions for the region. Fortunately, there are a number of great local resources so you can drive safely while traveling through Kansas City including state and local maps, live webcams, and television and radio broadcasts focused on travel conditions. Of course, you can always use popular traffic apps like Waze and Google Maps to tell you the most current delays, too. You should never use cruise control in winter weather conditions." There are plenty of ways to stay informed and take actions to avoid weather-related stress and danger, and as the saying goes, "forewarned is forearmed." 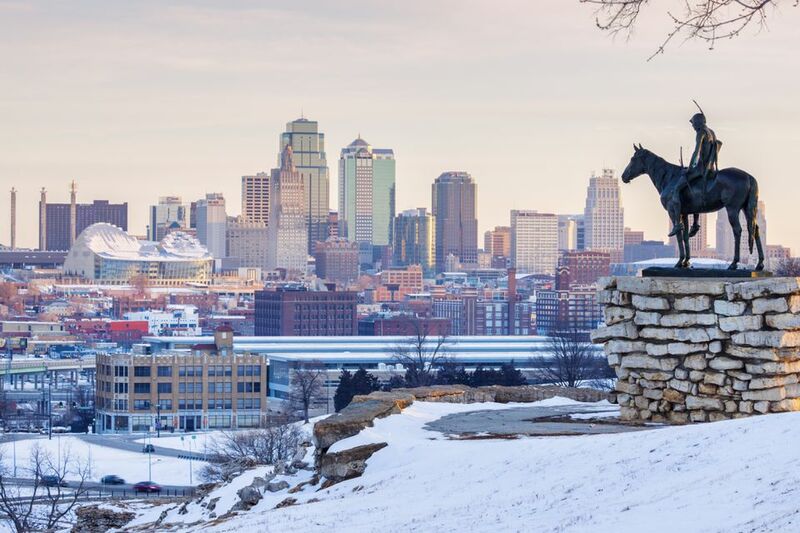 From up-to-date road conditions to live city cams, there are helpful resources in the Kansas City metropolitan area that can help residents navigate the effects of cold, moist winter weather. Checking in with these can help everyone prepare for bad driving conditions and avoid trouble. For Missouri road conditions in general, you can view weather-related road conditions for major routes across the state on the MoDOT Road Conditions Map, and for roads on the Kansas side of the city, you can check out the Kansas Road Conditions Map or view the Kansas KanDrive website. For up-to-date views of Kanas City roads, there are also a number of resources including KC Scout Cam Network, which streams live traffic information constantly including information on work zones, accidents, congestion and commute problems, road conditions, and AMBER alerts. The Kansas City Power and Light Company also host a live KCPL City Cam with live traffic views at major congestion spots around the metro area. Getting live action updates is still one of the best ways to get the most up-to-date and current information on traffic in the area, though some of these don't always play traffic reports so you may have to wait through some local news before they get to that section of the program. KSHB-TV and kshb.com, locally known as 41 Action News, presents live traffic updates and road conditions for the Kansas City metro area (go online for more current information). KMBC-TV and kmbc.com along with KCTV5 TV and kctv5.com, also presents timely reports on road conditions and travel weather, including road temperatures and airport delays, with Doppler radar. Fox 4 Kansas City Traffic also presents live traffic alerts at major traffic spots around the metro, but these reports only occur with the morning, afternoon, and evening news broadcasts.